Flip Out Mama: Oreck Candles: Another Great Innovation from a Great Company! 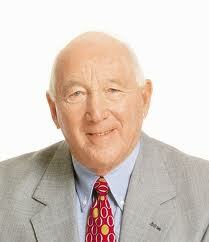 Oreck Candles: Another Great Innovation from a Great Company! 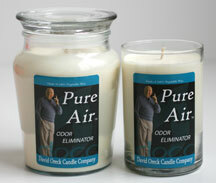 I was really excited to try David Oreck's new Pure Air Candles. I love the Oreck Company, and every thing they produce is a quality product, so I knew that these candles would be no different! These candles were really great at eliminating the nasty "boy odor" of our home! They leave the whole house with a fresh, clean scent! It isn't an overpowering scent like a lot of other candles, and I really like that. I really would love to have a couple more of these candles so I can put one in every room! 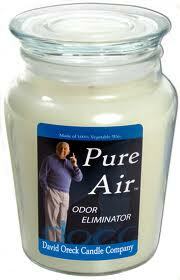 It's kind of like they "attacked" the odors in our house, which is definitely a win in my book! Right now if you would like to buy some of these fabulous candles, you can get them on the Oreck Website for a fabulous deal! Buy one 22 oz jar candle, and you get TWO 11.6 oz jar candles FREE, not to mention another FREE peppermint candle with your order! That is an awesome deal for some really amazing candles! And come on, isn't David Oreck the cutest? disclosure: I received a sample product in order to conduct this review. Although a sample was received, all opinions are my own and I received no monetary compensation.